Critical Reading and Writing: A Bedford Spotlight Rhetoric helps students with key writing skills. It provides advice on how to read thoughtfully and analytically, with instruction on active reading and note-taking, plus help with analyzing visual and multimodal texts. It also takes students through the writing process, explaining important concepts such as purpose, invention, rhetorical thinking, prewriting, thesis development, and organization, providing support when they need it most. Advice on using sources, revising, and editing will help them enrich, re-see, edit, and format their papers. Are You Writing to Inform? Are you Writing to Persuade? Are you Writing to Express Yourself? Audience: To Whom Are You Writing? Is the Source Credible and Authoritative? Does the Source Provide Broad and In-Depth Coverage? How Accurate is the Site? 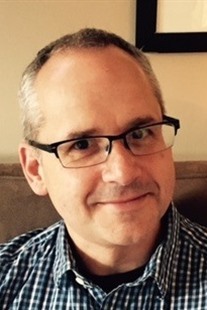 Jeff Ousborne (PhD, Boston College) has taught literature and writing at St. John’s University, Boston University, and Suffolk University. He is the editor of Reading Pop Culture: A Portable Anthology (Bedford/St. 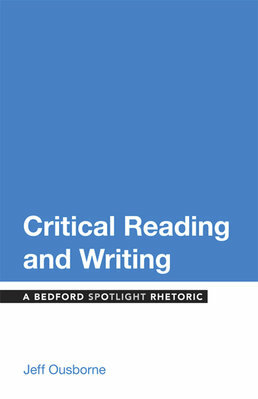 Martin’s, 2015), the author of Critical Reading and Writing: A Bedford Spotlight Rhetoric (Bedford/St. Martin’s, 2014), and editor of Writing Music: A Bedford Spotlight Reader. The former music editor at Details magazine, his scholarly articles and other writing have appeared Studies in Popular Culture, Clues: A Journal of Detection, The Boston Phoenix, Talking Writing, Life, Men's Fitness, Entertainment Weekly, CMJ Music Monthly, Boston Magazine, and other publications.